Braid 3-Double Dutch Braids and Bun is a spinoff from Double Dutch Headband Braids. 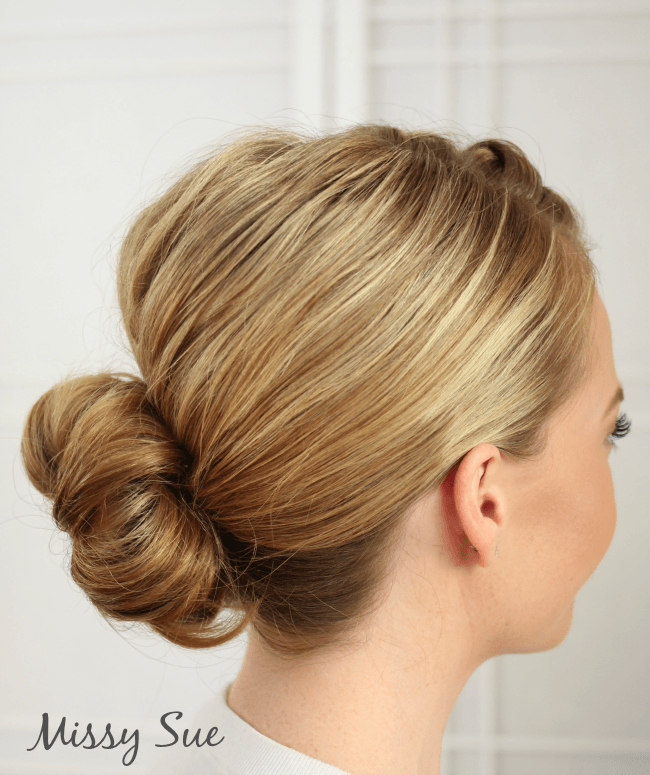 It is sleeker with a smoother connection and tossed into a chic bun at the bottom. I love these braids. I live for them. 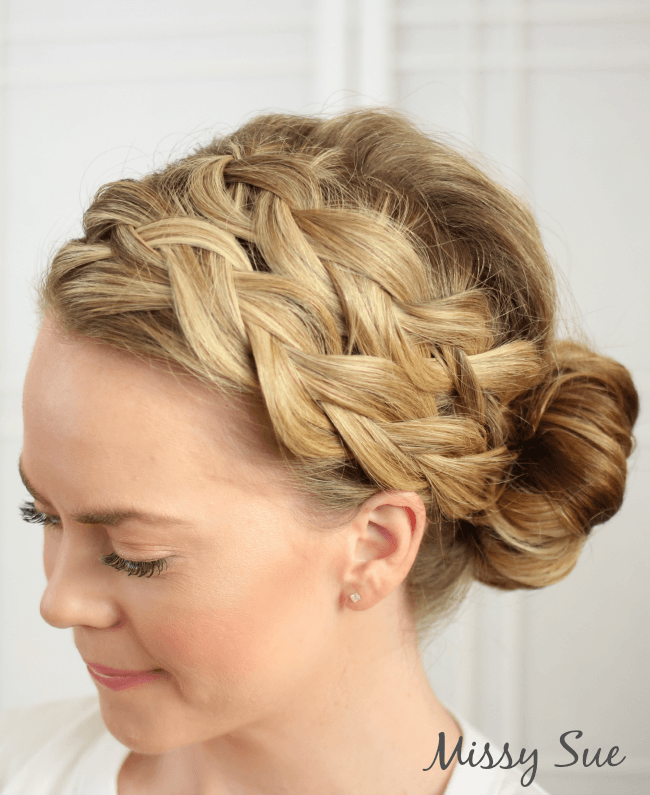 I could wear my hair braided along the top wrapped into a bun every day of the week! If you are a pro braider and want to take your skillzzzz up a notch try out this double dutch braid. You will be singing praises when it works out; not to mention your arms will thank you once you finally get it right. 1 / Separate the hair into two vertical sections from your part down to the left ear. 2 / Take the front section and tie it off. 3 / With the back section begin a dutch braid. 4 / When you braid in the back strand cross it underneath the other two strands and clip it off. Then bring in a piece of hair to replace that strand. 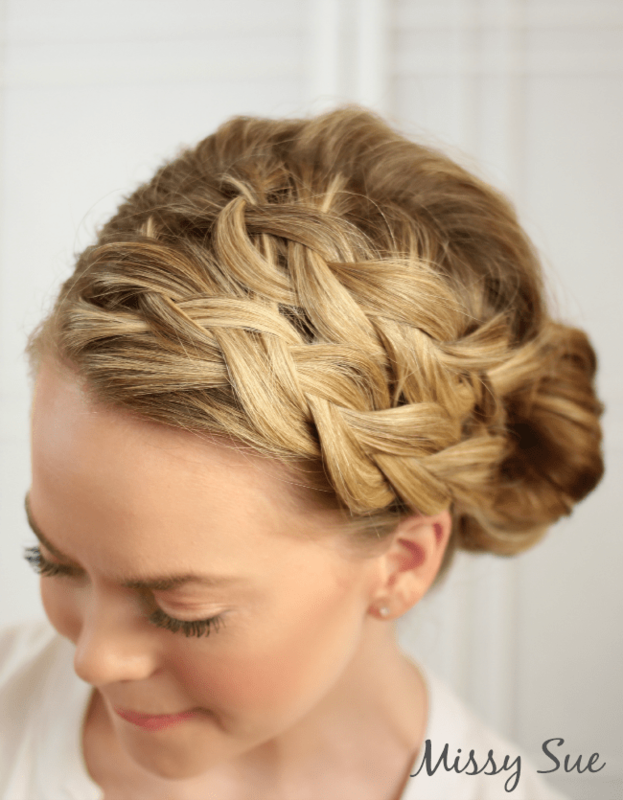 *You will create an upside down waterfall braid to create a more seamless look between the two braids. 5 / When you have braided all the way down the head, tie the strand off so it doesn’t unravel. 6 / Now, taking the front section, braid this into a regular dutch braid. 7 / When the strands meet at the bottom of the first braid gather all the hair into a ponytail. 8 / Tie off the hair with an elastic band. 9 / Take a section of the ponytail and wrap the strand back over the band and tuck it in so it creates a loop. 10 / Repeat step 9 for the rest of the ponytail until you have created a donut bun. I think its time to grow my hair out again!!! LOVE it! Hi Melissa! I just discover your blog weeks ago and I have been reading. I found it really useful. I love your hair tutorials but unfortunately my hair is too short to try some of them. I do blogging too. Hope you can take a look sometime. Hahahah I love this Missy! Those pictures and text are so bomb! I just wish I had as much hair as you so I could get mine to look like this. Beautiful!